Someone can't possibly remember how many hours they have spend worrying about what to get friends/family/colleagues for the various gift-giving occasions that occur though the year. You should really learn about the different retirement gift ideas for men and women, this article will tell you unique retirement gift ideas for men. Gardening tools for gardening, outdoor tools for outdoor projects like building a deck, a wood shed, a lawn tool shed, or even an outdoor cooking area, so gardening tools seem to be easier for men who enjoying gardening. Your retired men will be interested in the sports jersey representing their favorite National Football League team. Take him out to the Ballpark. A subsription of sports magazine. Plants make a great gift because as long as they are given what they need they will keep on giving. Bird feeders are a year-round gardening gift. The engraving retirement gifts for men to be more personal than just giving a store bought gift. Especially the engraved crystal retirement gift. There are lots of different types of engraved crystal gifts that you could choose from, that are sold online, such as the outstanding online trophy store-- Diy Awards. Crystal plaque, large or small, are always striking! 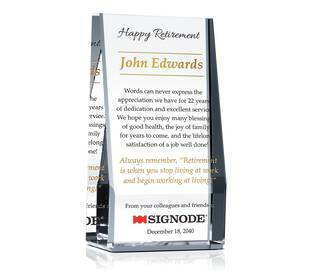 The crystal retirement plaques are ideal for use in the business and gift-giving world. 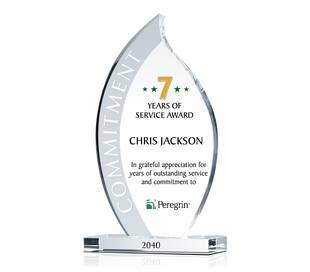 A crystal retirement plaque is a cost effective corporate gift, and is always appreciated by those honored in recognition of their contribution. There are unlimited styles and shapes to choose from. 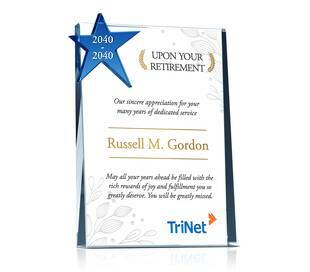 Appropriate layout and clean engraved retirement wording will help you show your appreciation and blessing as clear as possible. 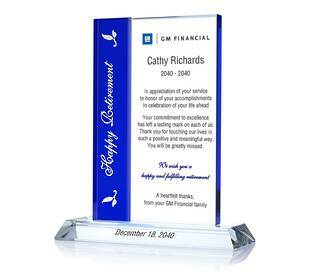 Then the engraved retirement wording always play vital role in the crystal retirement plaque. They will be honored to see their name on the plaque. The recipients' name is vital element. You should have rich collection of retirement poems or quotes as perfect retirement wording on the retirement plaque. All the retired men will be pleasure while they read the warm engraved wording on the plaque.